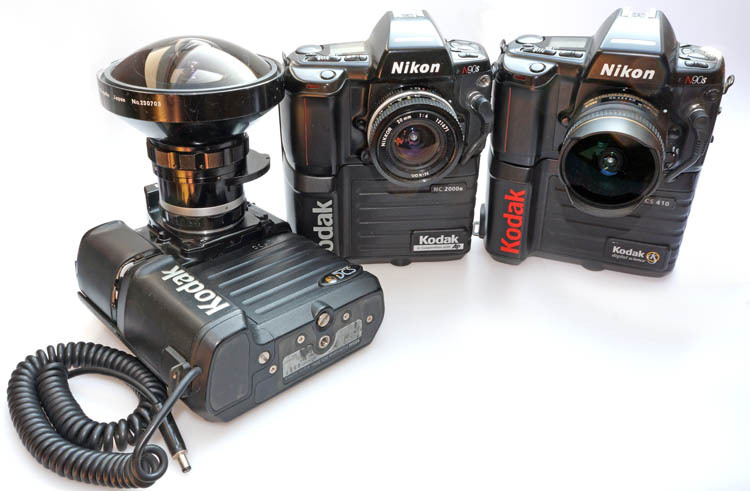 So far I don’t know, if the body works, but I am happy that a Kodak DCS200ci is on the way to me. I have downloaded the Windows TWAIN-Driver and installed a Photoshop 2.5 LE. The TWAIN is recognized! Starting Photoshop and the Import-function the TWAIN can’t find a DCS200 of course, but I could load a DCS200-file! IF I HAD ONE! 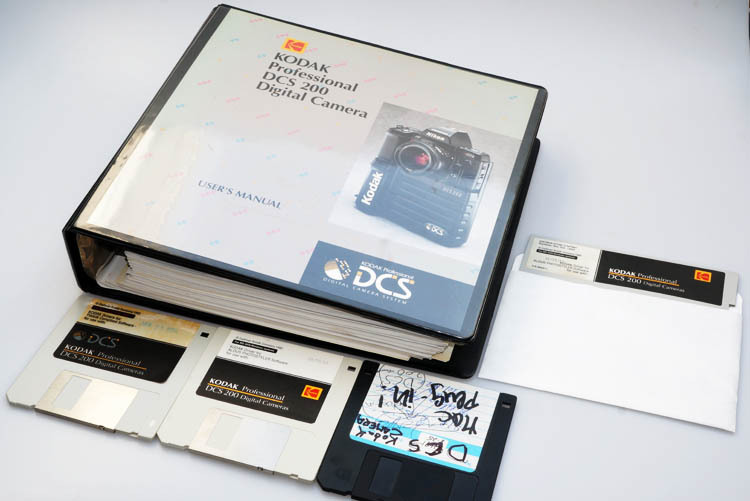 Is there someone in the Vintage DSLR Forum who could mail me two or three genuine DCS200-files? Just for testing my Windows 98/Photoshop 2.5 LE/Kodak DCS200 TWAIN Set-up. C O N T I N U A T I O N ! I was able to locate Ross A. in Australia, who mailed two KodakDCS200 *.KC2-files. It works perfect with my described Windows 98 Set-up. Now I’m praying for a working DCS200 on her way to me! Before I will write my big Kodak DCS200 report – that will last „some“ time –, I like to present an „Andy Warhol“ found on the DCS200’s hard disk I got these days! 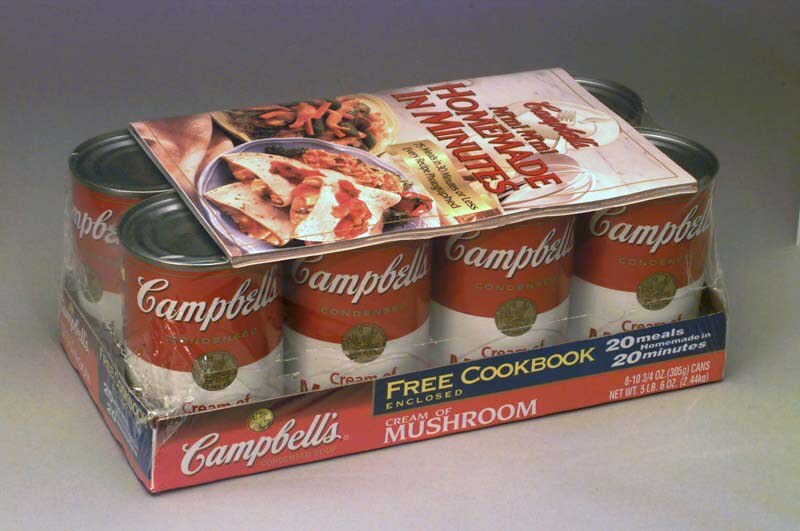 Do you remember Andy’s „Campbell's Soup Cans“ (https://en.wikipedia.org/wiki/Campbell%27s_Soup_Cans) ? More to come about the working DCS200! Maybe one of the previous owners wasn’t satisfied with the life of 6 1.2V AA-size batteries. 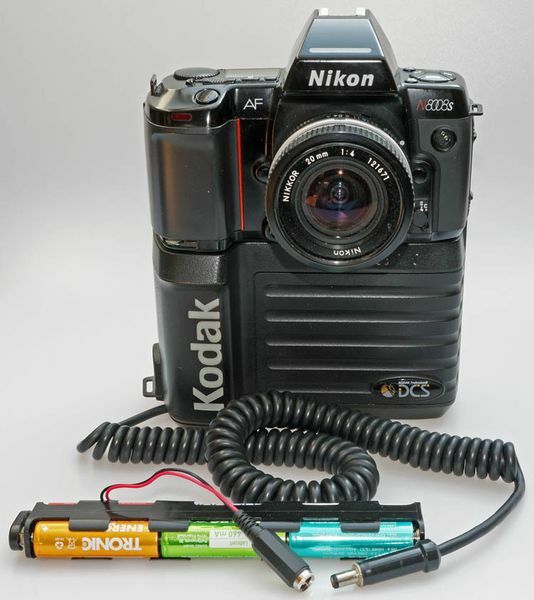 He soldered a spiral cable to the contacts of the DCS200 standard battery holder to be connected with an external battery-pack higher capacity. I had been content with a simple holder from the electronics store, receiving 6 1.2V NiMH AA-size batteries. A working provisional solution, enough for the DCS200-practical test. The ugly smudged 3.5" diskette hid the most important treasure for me! There I discovered the DCS200-Photoshop plug-in for Mac OS 7,8,9!